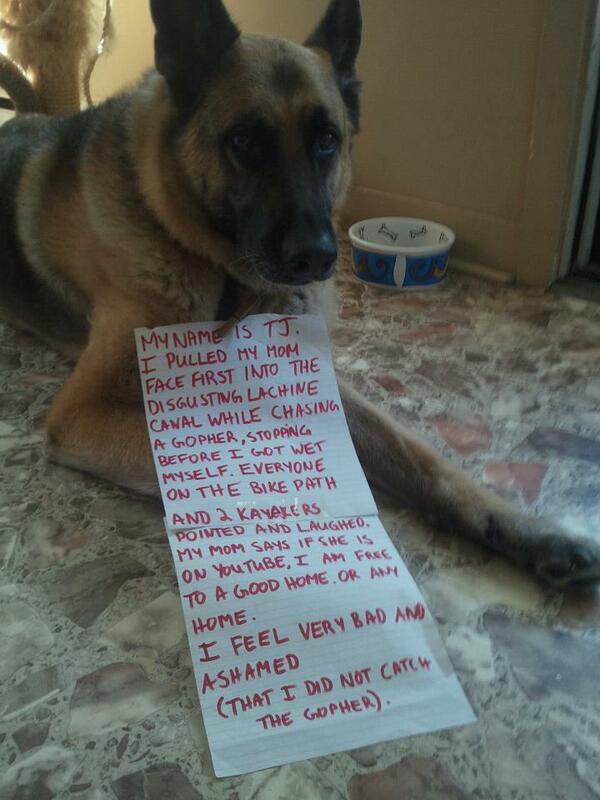 My favourite post – Bad Doggie! Is The Cat on your reading list? If not, then it really should be. Fun posts and this one is so funny I thought I’d try this reblogging lark. Hello my dear cuddly readers, yes it’s that time of year when people are out shopping for Christmas presents and holiday grub and therefore are left with very little time to do anything else, um… which is why I am posting an old blog I suppose, but honestly I did rather like this post so here it is again. As you know, every so often I like to single out a particularly naughty member of the Canine brigade and hold him up as a shining example of why you should keep Cats and feed them Prawns everyday!